In the same magic-realist vein as artistic giants like Salvador Dalí, M.C. 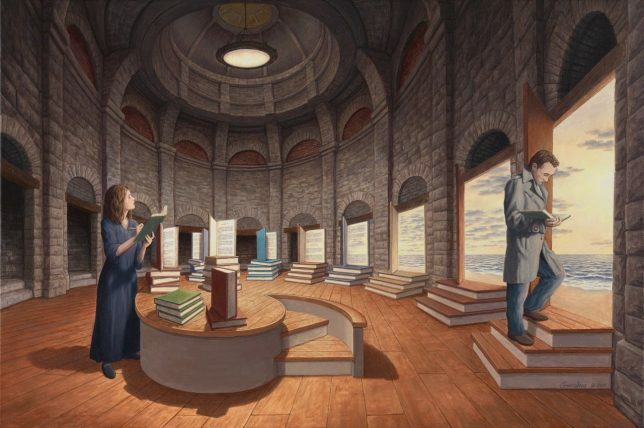 Escher and Renê Margritte, Rob Gonsalves crafts elaborate and interconnected scenes that shift subtly to form remarkable illusions of dizzying depth and scale. The 55-year-old Canadian of Portuguese descent takes settings that look ordinary at first glance, then layers and intersects them to form fantastic fictional realities. Many of his pieces tackle overlap, blurring the boundaries of natural and built environments. 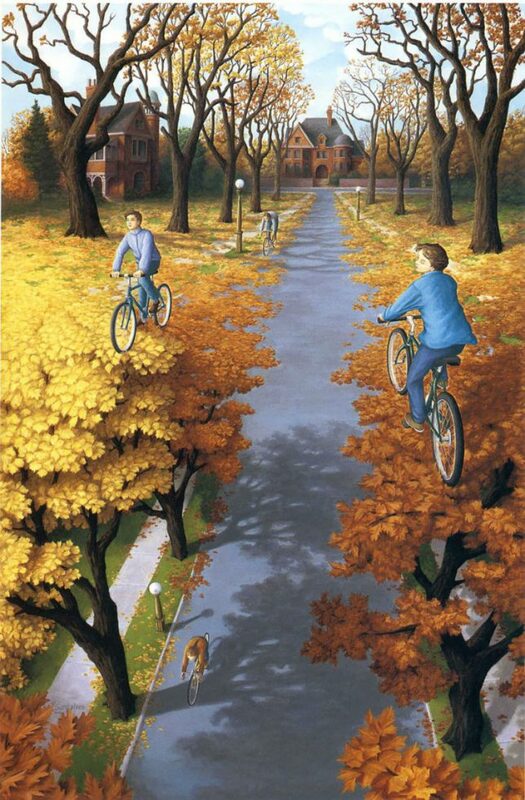 Trees falling from the tree on a street form a canopy for a second, semi-secret world below. Books slowly turn into steps as they make their way around a domed library. Bricks become rooftops as children walk along a path. 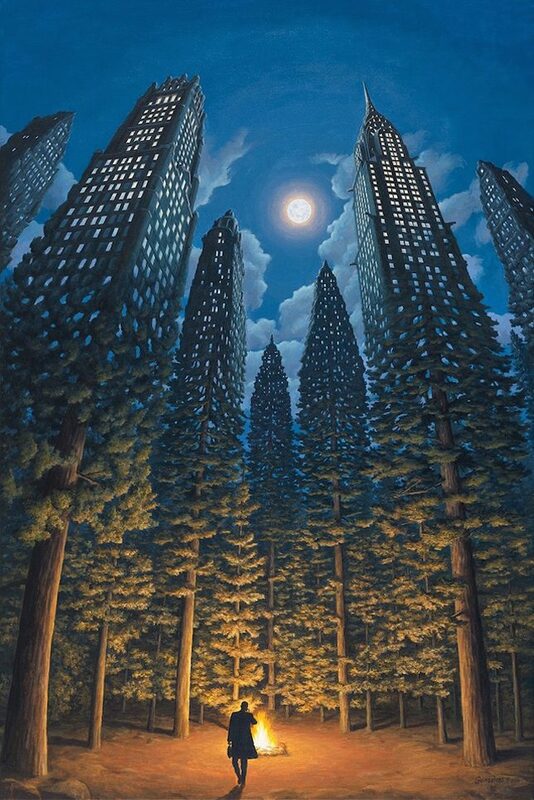 Skyscrapers morph into trees, blending nature and cities. 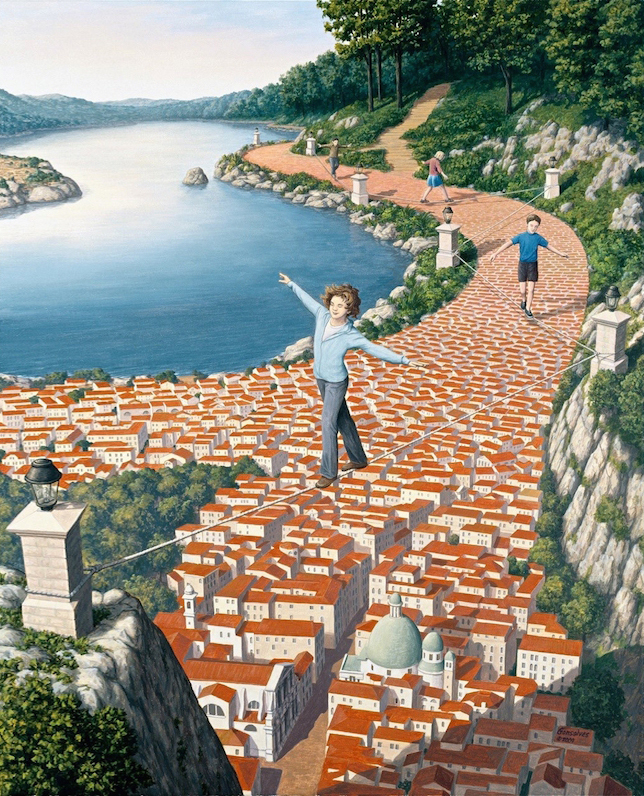 After college, Gonsalves worked as an architect and painted trompe-l’œil murals and theater sets on the side. As the popularity of his artistic works grew, he turned to painting as a profession.